Ha, so not only did the mayoral election end in a tie because Crankshaft forgot to vote, but the tie was broken by a coin toss (a real thing that happens!) 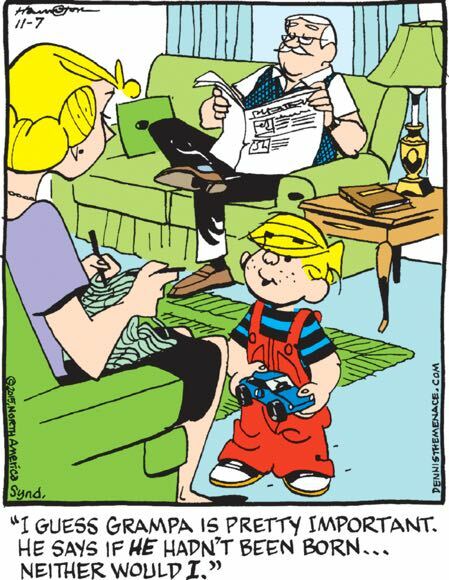 and Ralph let Crankshaft call it, which he did incorrectly, so Crankshaft lost the election for Ralph twice. Anyway, I skipped over these action-packed strips and instead chose to share with you today’s end-of-week installment, in which Crankshaft and Ralph huddle miserably under a too-small umbrella in a driving rain, their dreams crushed, because I’m cruel like that. Speaking of cruelty, it seems that Holly is OK with her son using her carefully collected comics as exchange for a bride-price trinket. But don’t worry, something terrible has to come of all this (other than Cory and Rocky’s inevitable divorce), and that something is the ultimate victory of the Chiseler, who was presented as the villain in the long-running Holly Carefully Collects Comics storyline. Remember, this is the Funkyverse, where even the joy is bad.